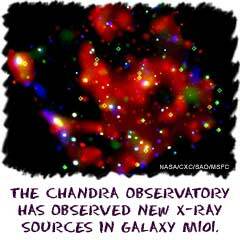 In the same way astronomers classify stars, they also classify galaxies. In the 1920s Edwin Hubble developed a system that categorized galaxies. He saw that galaxies usually some in three shapes. There are spiral, barred-spiral and spheroidal/elliptical. You might also hear some astronomers talking about elliptical galaxies. From our point of view on Earth, some galaxies look 'squashed' but that is just because of our perspective. Galaxies are usually round flat discs in one of the three shapes. Don't forget that we can only see galaxies from one point of view. They might be tilted or turned to form exaggerated shapes. Astronomers use the codes S (spiral), SB (spiral-barred) and E (elliptical) for the different galaxy types. As they studied more and more galaxies, they saw that even these have different stages of development. For elliptical galaxies, numbers are used from 0-7. '0' refers to perfectly spherical galaxies. As the galaxy shape becomes flatter, the number increases. For the spirals, astronomers use letters, 'a' through 'c'. The 'a' classification refers to galaxies that are very tight and compact, almost like an elliptical galaxy. The 'c' classification refers to spirals that are spread out and their arms extend several light years.